More than half of U.S. states saw their unemployment rates rise in August, the largest number in six months, as hiring weakened across the country. 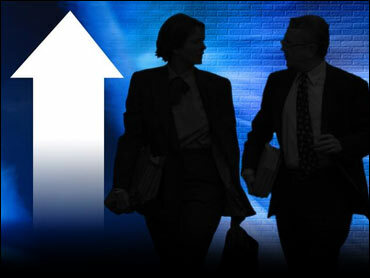 The jobless rate increased in 27 states last month, the Labor Department said Tuesday. It fell in 13 and was unchanged in 10 states and Washington, D.C. That's worse than the previous month, when the rate increased in only 14 states and fell in 18. It's also the most states to see an increase since February. The report also shows that some regions of the country are recovering faster than others. Western states, struggling with a beleaguered housing sector, are losing jobs and reporting higher unemployment rates. Northeastern states, meanwhile, are posting job gains in areas such as finance and hotels and restaurants. California, Arizona, Nevada and Colorado shed jobs in August and their unemployment rates rose. At the same time, Massachusetts, New Hampshire, Rhode Island and New Jersey added jobs and reported lower unemployment rates. California has shed jobs for the past four months, while Massachusetts has gained jobs for seven months in a row. The report comes a day after a nonprofit group of economists declared that the recession ended in June 2009, making it the longest and deepest since World War II. Still, even after 15 months of recovery, the nation's unemployment rate is a painfully high 9.6 percent. That rate disguises some sharp differences. The Northeast region's unemployment rate was unchanged in August, at 8.8 percent, the same as it was a year ago. The Western region, meanwhile, has seen its jobless rate rise to 10.8 percent from 10.5 percent a year earlier. For Western states, "nothing really gets better until the housing market stabilizes," said Steve Cochrane, an economist at Moody's Analytics. A depressed housing sector costs jobs for construction workers, realtors and other workers directly tied to the sector. But it also has broader ramifications. Homeowners who are "under water" or owe more on their homes than they are worth are less likely to spend money renovating them, fixing them, or buying new furniture for them, Cochrane noted. Neary 70 percent of homeowners are under water in Nevada, as of the end of June, according to real estate data provider CoreLogic. In Arizona, half of the home mortgages were under water and in California it was 33 percent. The housing market is struggling and years away from fully recovering from the downturn. Foreclosures spiked in August and are particularly high in several Western states. Nevada posted the highest foreclosure rate last month, with one in every 84 households receiving a foreclosure notice. That's 4.5 times the national average. Nevada's unemployment rate rose to 14.4 percent, a record high for the state. Nevada has the nation's highest jobless rate. It overtook Michigan in May. Florida, Arizona, California and Idaho rounded out the top five states for foreclosures. Meanwhile, Northeastern states like Massachusetts are benefiting from job gains in finance and leisure and hospitality. Massachusetts has posted job gains for seven straight months. Nationwide, North Dakota posted the lowest jobless rate at 3.7 percent, followed by South Dakota at 4.5 percent and Nebraska at 4.6 percent. Overall, the economy lost a net total of 54,000 positions last month and the unemployment rate ticked up to 9.6 percent from 9.5 percent. Private employers added a net total of only 67,000 jobs.